This photo was submitted to the DukeEngage Photo Find contest in the Immersion category. DukeEngage alum Taela Dudley (Trinity ‘17) has been awarded a grant from the Fulbright U.S. Student Program to teach English in Senegal next year. Each year, the Fulbright U.S. Student Program grants recent graduates, graduate students, and young professionals the opportunity to teach English around the world. 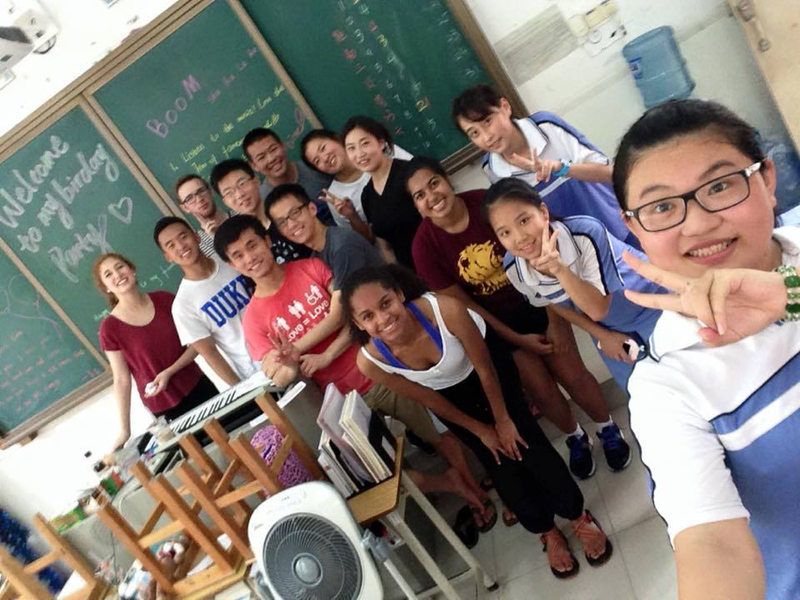 Dudley participated in the DukeEngage Program in Zhuhai, China in 2015, where she worked with students at Zhuhai No. 9 Middle School to develop arts and enrichment programs. While in Zhuhai, Dudley and the rest of her DukeEngage team also taught English courses focused on listening and conversational skills. We are thrilled that Taela will be able to bring elements of her DukeEngage experience to new communities around the globe.